Let us help you find your next vehicle. Click here to get started! Financing is easy at Car Nation. Click here here to get pre-approved! Specializing in import cars, trucks, and SUVS. Click here to view the inventory! I am glad we purchased a vehicle from Car Nation and will certainly recommend you guys to anyone I know that is looking for a used car! Keep up the good work! I just purchased my third vehicle from Car Nation - each time was a pleasure. They make you feel comfortable in what can be a stressful situation. They stand by their vehicles, and operate in a very professional manner. Their vehicles are extremely clean and the management is very straight forward about the condition of their vehicles. Car Nation is also very generous in the community, which gains my respect. They give back and that is very important. Car Nation will be my first stop when car shopping next time. My wife and I purchased a 2003 Jeep Liberty from Dave at Car Nation. Having purchased and leased many vehicles throughout the years, we had never been treated as well as we were at Car Nation. Thank you for going above and beyond! I bought a 99 Jeep Wrangler from Car Nation, finally ending my one and a half year search to find one in this good of condition! Buying from Dave was a great experience - he is a great guy to deal with and did not hesitate to help me, even after the sale. 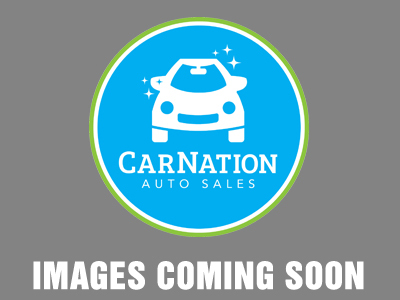 If you are looking for a vehicle, I highly recommend that you stop by Car Nation. We would definitely recommend Car Nation. They have bent over backwards to make us happy with the 2001 Toyota Highlander that we purchased at their dealership. We love the vehicle and loved the great service! The guys at Car Nation are knowledgeable, enthusiastic, and friendly. I have known them for a while and am confident you will not find a better place to buy a car. If you want an honest, easy, and affordable car buying experience.... look no further. My husband and I research a new car purchase in detail. It takes months for us to choose, we drive bunches of cars and visit a ton of dealerships. We look in a few cities, but nobody was as patient, nice, and low pressure as Car Nation! They know their cars, and you can tell they truly believe in customer service. I have bought a 2010 Toyota Highlander and it's been running good for 2 months now. Highly recommend this place!